ALA has been awarded ISO 9001, ISO 14001 and OHSAS 18001 certifications. These are internationally recognised standards for Quality Management, Environmental Management and Occupational Health and Safety Management, helping us to ensure that we continue to offer the best services to our clients and build the best working environment for our employees. Our main focus for the year is to develop and grow the business. Ensuring that our work, systems and policies are driven by clear, set standards helps us to positively contribute to the construction industry by upholding health and safety standards, adhering to quality management and being fully aware of our environmental impact. 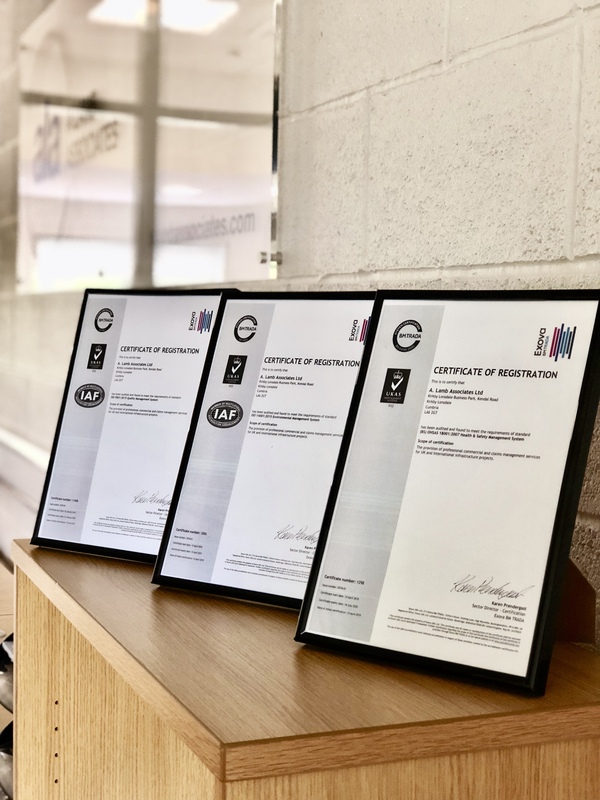 We worked really hard to review all of our company policies and procedures, with help and guidance from QEM Solutions, as part of the ISO certification. We already had ISO 9001:2008, which is now certified to the most up to date standard, and we were keen to quantify our focus on environmental awareness and health and safety management.